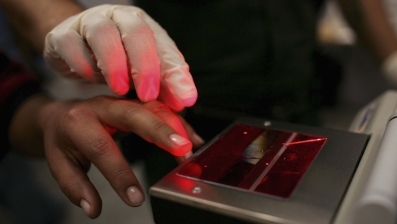 Governor Andrew Cuomo has announced that New York will pull out of the controversial federal deportation programme Secure Communities, which shares the fingerprints of people arrested by local police with Immigration and Customs Enforcement (Ice). Just last month, Illinois Governor Pat Quinn did the same. Or did he? Last week’s article in the Times states that “Mr Cuomo’s move means that … participation will end.” Yet, this isn’t really the case. Ice says that President Obama’s signature immigration enforcement programme (begun under Bush) is mandatory – after spending three years telling activists, elected officials and law enforcement officials that it was optional. Ice’s public statements have certainly comprised dizzying contradiction, first saying that county participation was optional, and then declaring it was state participation that was optional and that it was up to the governor if a county wanted to pull out (which is what they told me last year, when I reported the story for Salon. Secure Communities effectively turns local police into proxy Ice agents, since Ice gets information on everyone arrested by local police and deports them regardless of whether or not they are convicted of a crime. Like Arizona’s law, which forces local police to enforce immigration law (against which the Obama administration has filed suit), Secure Communities undermines trust for law enforcement in immigrant communities and makes a mockery of President Obama’s pledge to focus precious enforcement resources on the most dangerous criminal aliens. According to data rights activists obtained through an FOIA request, nearly 28% of immigrants detained through Secure Communities were non-criminals, and another 32% were convicted of very minor offences. Just 26% were convicted of the most serious crimes. The documents obtained by activists through FOIA show that Ice plotted to keep the public confused about Secure Communities, including one email describing a decision that was communicated over the phone rather than in writing to maintain “plausible deniability”. Oh dear. Liberal members of Congress, including the Hispanic caucus, have harshly criticised Ice for lying to elected officials and the public. Representative Zoe Lofgren (Democrat, San Jose) has led the charge, accusing department of homeland security (DHS) and Ice staff of making “false and misleading statements to local governments, the public, and members of Congress” and calling for the DHS to undertake an internal investigation. Recently, DHS has conceded that a communication breakdown had taken place, and says it is reviewing the programme. In a letter to Lofgren, sssistant DHS secretary John Morton wrote that Ice “takes full responsibility for the confusion and inconsistent statements the agency has made about participation in the programme”, adding that the agency fired a contractor for allowing “unacceptable emails” to be sent. Under President Bush, Ice focused resources on high-profile workplace immigration raids, targeting businesses like meatpacking plants and janitorial firms. President Obama claims to have shifted course, saying that he prioritises the deportation of the most dangerous criminal aliens. But this is a claim that Ice’s own data now calls into question. The public debate on immigration is completely unhinged. While attention should focus on the Obama administration’s deportation programme and the scandalous homeland security scheme to sow public confusion during crucial stages of its implementation, the headlines instead are drawn to the patently racist political theatre going on in Arizona, Georgia and now Alabama. Members of Congress should join Representative Lofgren in demanding a full investigation of Ice’s seemingly intentional campaign to mislead the public and elected officials. And so should the White House. As with much else, the president is trying to placate the right while ignoring his base. While nothing will pacify the nativist white right, discouraged Latinos are still waiting for a good reason to vote in 2012. This entry was posted in Press (International) on June 6, 2011 by Ian.